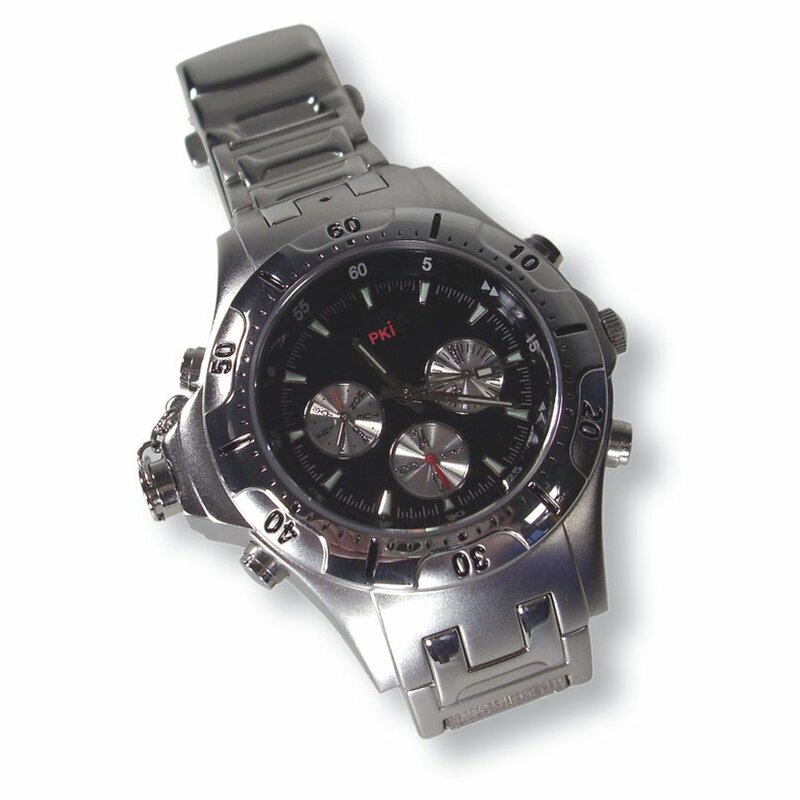 For completely unobtrusive voice recording our watch equipped with an integrated microphone is the perfect equipment. The fully functional watch captures conversations of up to 5 m distance on its digital recorder and stores them on its 256 MB flash memory. Recording up to 9 hours is possible with one battery. Playback can be done via PC or directly by earplug.